Burgers are arguably one of the world’s favorite foods. Whether it’s a meaty beef burger topped with ALL the cheese or a veggie-licious vegan version, the simple circular sandwich has had us entranced for centuries. 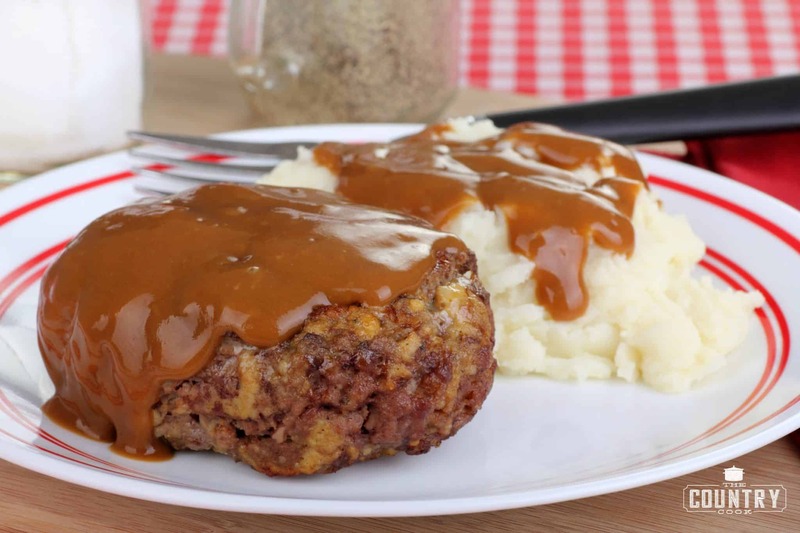 Ground beef was a delicacy in Medieval cuisine. Red meat was however restricted to higher classes. Patties made with spiced fruits and herbs were very popular in Europe. As farming method began to improve pork and other meats were introduced and the burger began to take shape. In early 19th century Hamburg became famous for its exceptional beef. This was often served roughly chopped, formed into patties and seasoned. German immigrants to America brought this recipe with them and soon restaurants were serving a version more suited to the American palate. This one is controversial and there are many stories. However, most historians believe that the first hamburger was created by Texan cook, Fletcher Davis AKA “Old Dave”. He simply put a Hamburg Steak between two slices of Texas toast. He began selling these at the St. Louis World Fair in 1904. The founder of White Castle, Walter Anderson, had been running food stands since 1916. In 1921 White Castle was established and he was credited with opening the first dedicated hamburger restaurant, giving birth to the fast food industry. 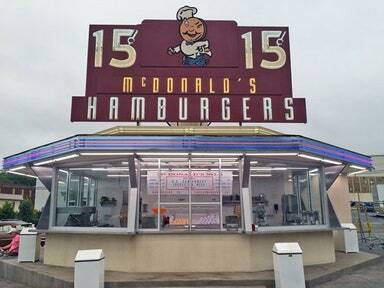 The burger continued to be popular through the 20’s and 30’s and the fast food industry was starting to boom. In 1940 Patrick McDonald and his two sons opened the first McDonald’s in California, introducing the ‘one-minute’ burger and popularizing the drive-in. As the burger continued in its popularity, the world began to notice. One success story was the ‘Wimpy’ franchise which took business abroad in 1954 to form ‘Wimpy Bar’. This grew to 1500 locations in several countries. Wimpy world headquarters are now located in South Africa. At the height of the McDonald s ‘grip’ on the fast food industry Janie and Jerry Murrell and their sons (the original five guys) considered a different more handcrafted approach to fast food. With their hand-formed burgers and hand-cut fries, a cult like following turned into a successful franchise. 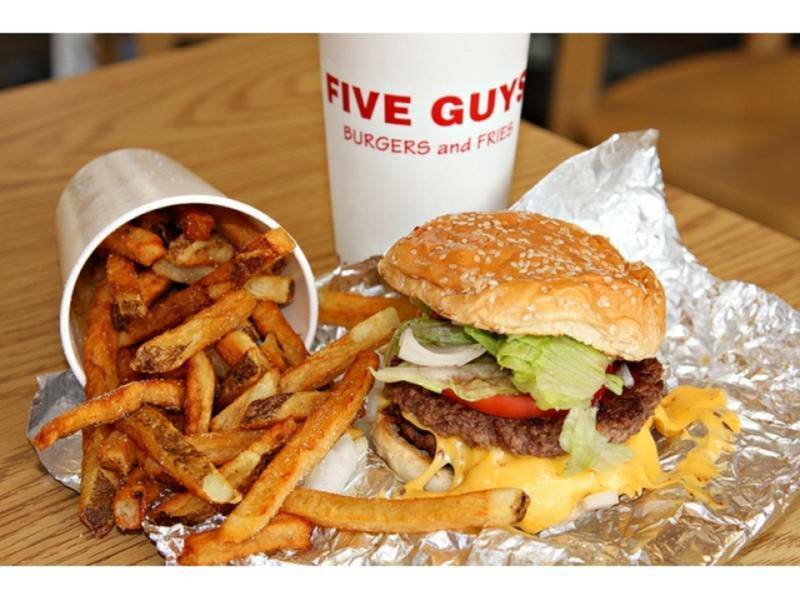 In the 2018 national Harris voting poll ‘Five Guys’ was voted best burger restaurant in the USA. With ‘better burger’ chains and gastropubs muscling in on the larger chain businesses, it was only a matter of time before the gourmet burger entered into the scene. These burgers have handmade patties, mouth watering toppings, exotic sauces and gourmet buns to make upscale burgers. 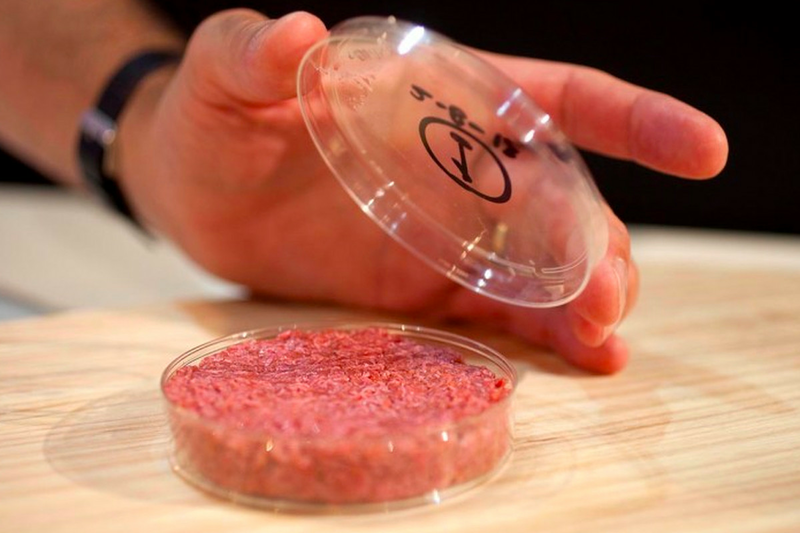 In response to the growing demand for meat, scientists from an institute in the Netherlands took cells from living cows and turned them into strips of meat to create a patty. The big challenge is making meat that looks, feels and tastes like the real thing. Mosa Meat uses a small sample of cells taken from a live animal. Those cells are fed with nutrients so that they grow into strands of muscle tissue. These burgers have been making their way into restaurants with mixed reactions.